With Battle for Azeroth out for a few weeks now I figured it’s time to start writing down my thoughts on the expansion so far when it comes to the things I have experienced, what I like and what I dislike. I could write an entire essay about this but for now I want to focus on three points. The best thing of the expansion, the okay/good stuff and the major disappointment so far. For me the story of the expansion so far has been overwhelmingly positive. I like how Alliance and Horde get their own continent and their own stories. It encourages people to take a look “over the fence” to see how the other faction fares because if you don’t you’ll miss out on roughly half of what Blizzards’ lore team has created so far. Obviously some things could have been done better, like the dungeon introductions for opposite factions. So far though the zones have been great with Drustvar as the big standout to me. That was just the perfect zone story with the perfect zone vibe. The only one coming close is Nazmir but it just misses this bit of oomph that Drustvar has for me. 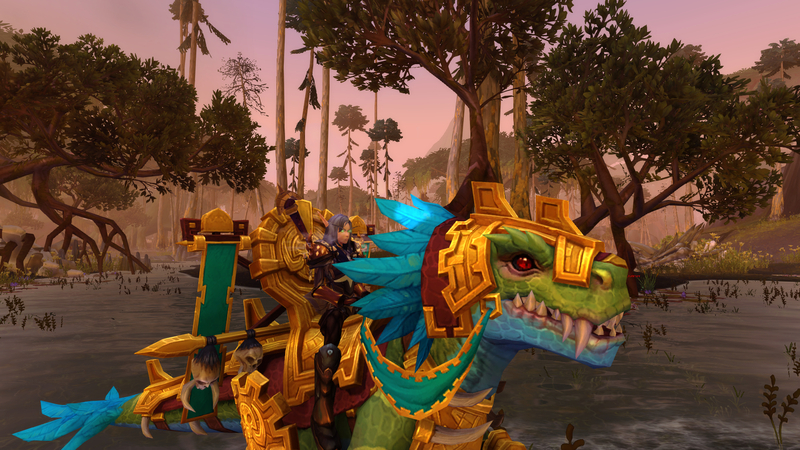 The only zone I feel is a bit disconnected in a way is Zuldazar, but that has more to do with not really following a “road” through the zone but instead getting sent all over the place. 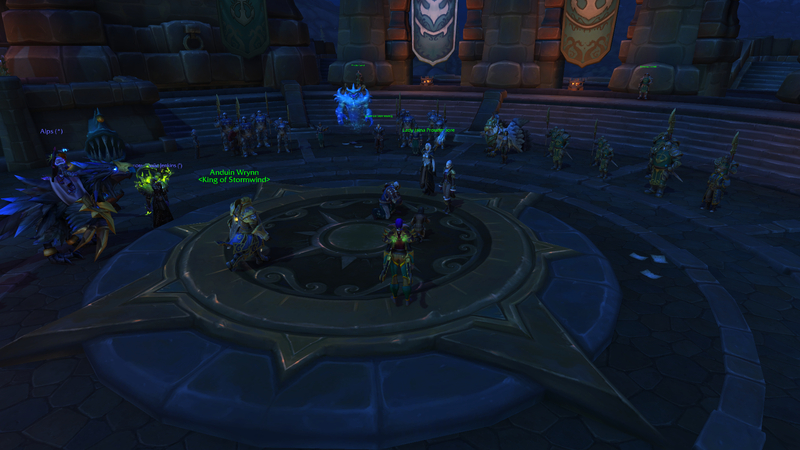 As far as the whole Horde vs Alliance narrative goes, it’s less present than I thought it would be. Then again I opt to play with Warmode turned off. The War Campaign itself is rather interesting, especially since we get to team up with some people that deserved more spotlight like Lilian Voss and Shandris Feathermoon. All in all I’m liking where that story is headed aswell so the lore is the one aspect I’m absolutely positive about. So Blizzard opted to take a few things from Legion and implement it in BfA. I’m okay with most of it. I prefer doing World Quests over dailies and the Mythic+ system is really nice aswell so I’m happy they have brought this along. There are still some tweaks to make here and there, like also implementing the paragon reputations again, but overall I’m happy that these elements remained in the game. I’m also quite pleased with how the dungeons look. Even though some are a bit more hectic than others, Blizzard undeniably succeeded in making some dungeons to remember, again. One of the best ones in my opinion is Freehold, simply because one of the bossfight encounters starts out with having to catch a greasy pig and it’s hilarious. Underrot is at the bottom of the barrel for me, but that’s mostly because of the aesthetics of the dungeon itself. 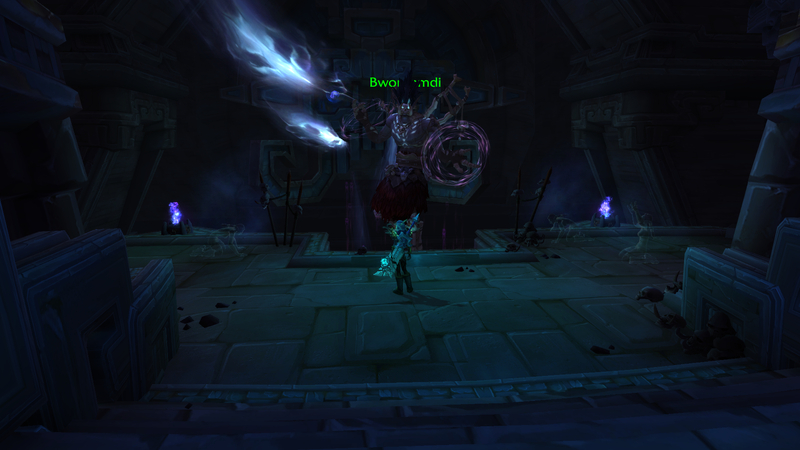 I can’t comment on the raid yet because I’ve not stepped foot in it, but I will definitely poke my head into LFR as it comes out just to experience the story. I’ve purposely inserted a picture of me getting my Machinist to level 70 in a post about WoW? Why? Because I’m going to discuss the final point I mentioned earlier: the big disappointment. I could have picked numerous things here because I’m also disappointed with Island Expeditions and the Warfront stuff but my biggest disappointment of the expansion is once again how people who like to play multiple characters are treated. The biggest selling point FFXIV had for me was that I could play every available job and have every available crafting and gathering profession on one character. In WoW this means having to level alts. And where in Legion there was an incentive to level alts, because of the Order Hall stories, Class Mounts and Mage Tower challenges, in BfA I’ve already found out that I don’t feel like leveling anything besides the two characters I have at level 120 right now. Even though I miss my Warrior and miss my Hunter and even want to poke my head back onto a Demon Hunter, the idea of having to work my way through the zones again and then stall out on the same World Quests I’m already doing with the same endgame grind to get gear and to get your Heart of Azeroth leveled up is just the biggest turnoff ever. And I do realize it’s only a few weeks into the expansion and I will probably level something up at some point when I’ve done the big “start of expansion” grind it just feels so lackluster compared to Legion it’s not even funny. I sincerely hope Blizzard will implement something that will want to make me level more than the one Horde and Alliance toon I have right now, besides Allied races and their associated achievements, or I will see myself walking away from WoW again sooner rather than later. As I said at the start there are more things I want to nitpick on than just the stuff I mentioned here. Warfronts, Island Expeditions, Azerite Gear. It’s all things I think could be improved one way or another. Even though the faction fantasy is okay I miss the class fantasy from Legion and I miss my Artifact weapons and the quests associated with them. All in all though I’m still having more fun than frustrations so I will keep on playing for a while to come. What do you guys thing about Battle of Azeroth so far? So I’ve spent more time on my Paladin than I thought I would today. I’m currently sitting at level 112 and am starting the first leg of the War Campaign from the Horde POV. Even though I stated I wouldn’t want to play Horde as main I enjoy playing my Paladin much more than I do my Rogue. Maybe it’s because I’m less squishy. Maybe it’s because I know I will be going Tank when I hit max level and thus have no real queues to worry about. Seeing as trying to queue for dungeons on my Rogue has been an absolute nightmare and all my friends are over on Horde side, I feel the pull to main Horde after all much more now that the expansion has launched. As I mentioned in my previous post I’ve started off in Nazmir. I picked this zone because it gave me the creeps when I did the War Campaign stuff on my Rogue and I figured I wanted to get this zone over with first so I would be done with that. I guess I grossly overestimated how creepy this zone actually is. 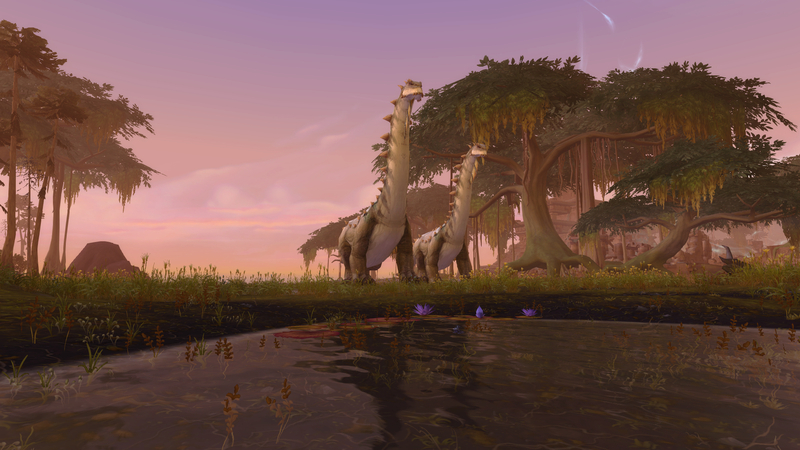 Okay, the Blood Trolls ARE creepy but I’ve also seen some really pretty sceneries so far and I’m really in love with all of the dinosaurs that populate this zone. Plus the swamp vibe isn’t that bad. Story wise it can’t really compete with Drustvar, which is hands down the best zone this expansion. As far as atmosphere goes it can’t compete with Drustvar either. I’m probably fangirling like mad here but Drustvar was such a joy to quest through that I completely forgot time and didn’t want to take a break untill I saw the story from start to end. I’ve not had that with any of the other zones yet and Nazmir is no exception. I do like encountering the Loas, I made contact with Bwonsamdi and Hi’reek and am now on my way to Torga, the turtle Loa. 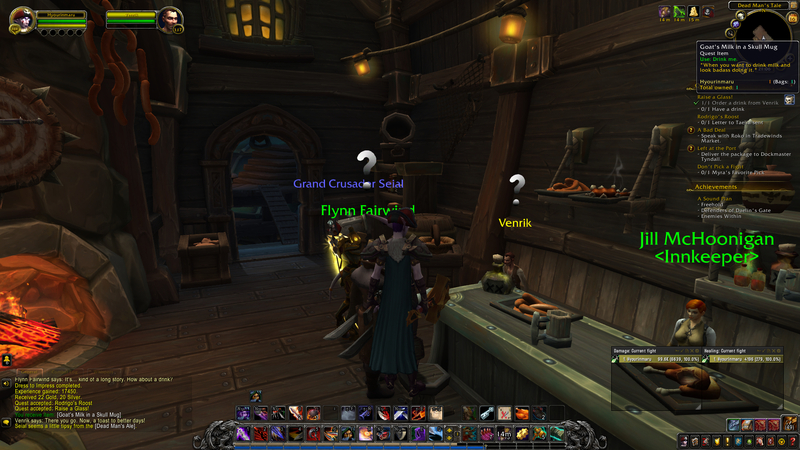 I guess I need to be a bit careful though because I don’t want to burn out on my Paladin like I did on my Rogue. I expect to swap between the characters as it suits me but I think I will be spending more time on my Paladin than on my Rogue as I reach 120 on her. Up untill then though I can enjoy the scenery. And the dinosaurs! 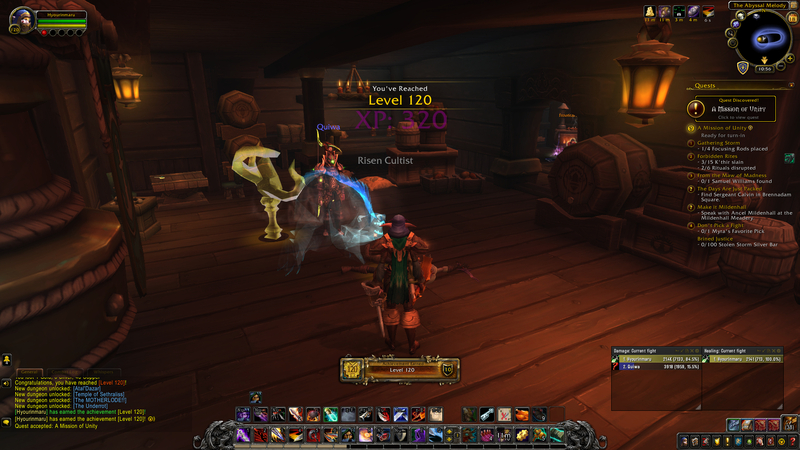 Yesterday morning I reached level 120 on my Rogue. I was about 10 quests into Stormsong Valley when this happened and with it I unlocked a whole lot of new things to do. The biggest one being World Quests which are popping all over my map, on both sides of the world. I was really happy to hit this milestone but I also notice that I’ve burned myself out quite a lot leveling this character up. Even though I hadn’t done a “one day race” like some of my friends did, it has taken me one full day, 3 evenings and one morning to get to this point, I do feel the new content burn quite heavily. Blizzard has managed to pack so much lore into this expansion so far and with my determination to do every quest I can possibly get my hands on things get rather exhaustive quite fast. I’m about halfway done in Stormsong Valley as we speak but I’m not making a lot of progress. I’m taking breaks every time I’ve tackled a sidequest or mainstory line because I just can’t play for much longer than that. I’m trying to break things up by doing Worldquests and leveling up my Engineer but I guess I’ve just spent a bit too much time focused on getting to 120 to really enjoy it now that it’s there. In other news, because I’m so burnt out on my Rogue at the moment I’ve decided to take baby steps into the expansion on my Paladin. It’s the class that I originally wanted to play in this expansion and I notice that I’m having a much easier time on her than I had on my Rogue while leveling up. I decided to start out in Nazmir and the zone so far seems to be okay. I guess going to the Blood Troll capital at night on my Rogue was a bad idea because it seriously gave me the creeps. 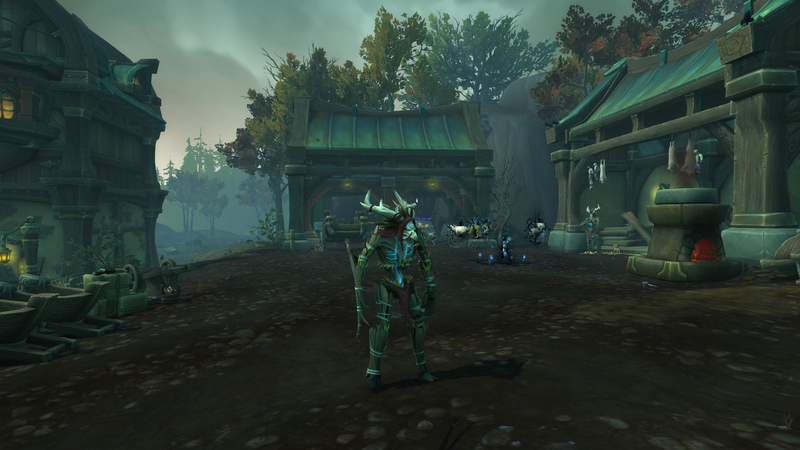 Now on my Paladin however I’m just enjoying the swamp atmosphere while picking a lot of herbs along the way. Maybe it’s because the pressure to level to 120 is off or maybe I just enjoy Paladin more but I think I’ll spend a bit more time on her than on my Rogue in the coming week. Today I want to take the time to talk a bit more indepth about Drustvar. The first zone I’ve completed in Battle for Azeroth. This post will be rather spoiler heavy so if you’ve not yet done the zone or do not want to be spoiled please stop reading after this paragraph. I feel the need to write up this blogpost because Blizzard, in my opinion, has done such an awesome job with the zone stories in Battle for Azeroth so far that I just want to gush about it. So without further ado, I present you: Drustvar. Let me start off by saying that I’ve gone into Battle for Azeroth mostly blank. 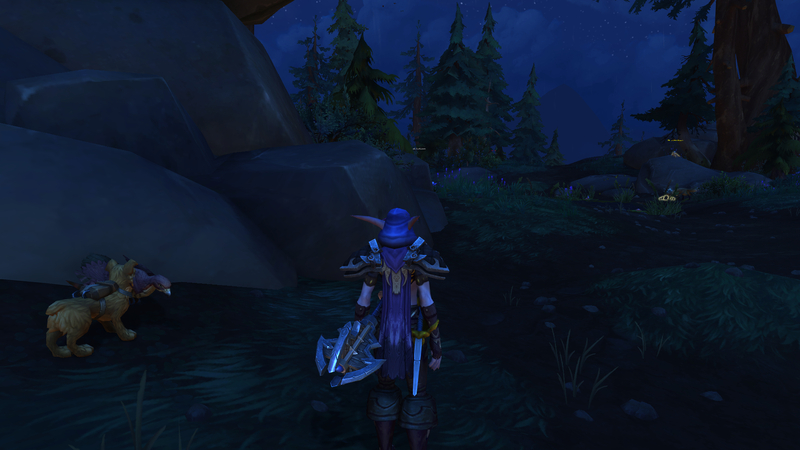 I did spend a few hours one night on Beta leveling through like the first ten quests in Stormsong Valley but other than that I was a complete blank slate. I wanted to be surprised and charmed by what Blizzard had developed for this expansion so I wanted to experience everything fresh. The above screenshot is part of the introductory town of Drustvar. You are sent on your way because there are issues and no one has heard from Lord and Lady Waycrest, they rule Drustvar, in a while. As you arrive in the zone the first village you pass through is abandoned and overrun by wild creatures. There is still a little girl around however who sends you on a wild goose chase finding people and things for her. It’s clear from the second quest or so that she’s probably not the nice little girl you think she is. The questline culminates in her summoning a Wicker creature with a satanic ritual for which she killed her cat (poor Smoochums) and one of the few surviving villagers commenting on how the girl has been dead for a while. Yeah, I guess the tone for this zone has been set nicely. I see a lot of people comparing Drustvar to Duskwood but then in autumn colours and way bigger. I get the sentiment here but Drustvar is so much more than that. The overarching story becomes quite clear very early on: they are having issues with a powerful Witch Coven that is calling themselves the “Heartsbane” and who are cursing every village in Drustvar, making sure the people in town suffer one way or another. A big part of the Drustvar experience is helping villages cleanse the local curses and kill the local witch of the coven responsible for it. The story really kicks into gear though when you come across Lucille Waycrest who is about to be hanged as witch. She is the daughter of the Lord and Lady Waycrest and she’s gotten herself in a bit of a pinch by being at the wrong place at the wrong time. A part of the questchain to help her escape involves taking control of your very own Wicker construct and clearing out a more powerful Witch that has been terrorizing the village. Let me tell you, it was awesome. Running into a mine full of mobs and just completely obliterating them with my Wicker body had me cackling. I mean just look at how I looked? It’s an amazing theme and I loved all the Wicker looks in Drustvar. Anyway, after you’ve cleared Lucille’s name and rescued the villagers of the village that wanted to hang her you set out on a journey towards Waycrest manor with Lucille and Marshall, who is the commander of the Waycrest troops. Lucille knows a large part of what has been happening in Drustvar and seeks to revive an ancient Order that used to fight the Drust as the Kul Tirans were settling down in Drustvar. I guess this also leads to big plotpoint number two. The Drust are forest creatures that look kind of like the Wicker creatures you see everywhere in the zone. When the early Kul Tirans settled there was a war between them and the Drust that the Kul Tirans won. Their final victory was a Waycrest stabbing Gorak Tul, the leader of the Drust, to death and claiming Drustvar for the Kul Tirans. It also becomes clear that not all the Drust were against Kul Tiran settling in their homeland and they have remained on friendly foot with the humans untill this day. They call themselves the “Thornspeakers” and are the amazing Wicker themed Druids that the Kul Tiran humans can become. As you advance into the zone it becomes clear that Gorak Tul may not be as dead as everyone thought he was and that he is probably the mastermind behind the relatively recent forming of the Heartsbane coven that terrorizes the land. As you rebuild the Order of Embers and work your way through the zone you are treated to a beautiful landscape with many sidequests. The atmosphere in Drustvar is amazing to say the least. 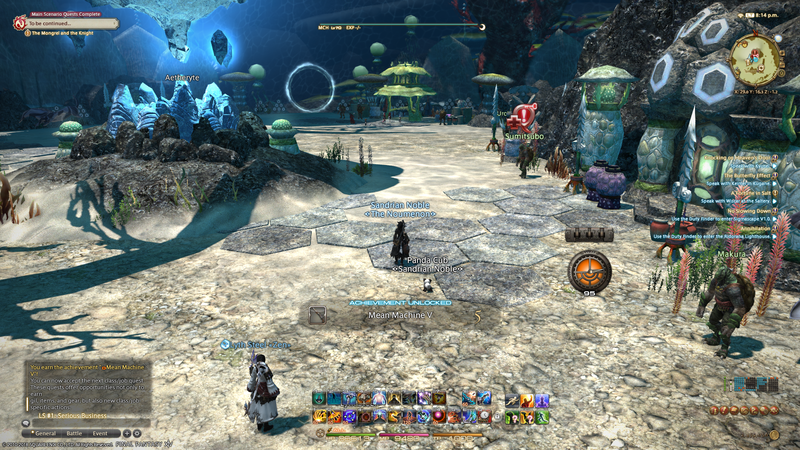 The background music is superb and it’s really worth doing every single questline you can get your hands on. Next to the Witches and Wicker creatures you get to fight Yetis, wild beasts, Stone Guardian constructs and even a small patch of mutated mushrooms. You help a Goblin retake a town from pirates. You help create alchemical fire that will make all the Wicker constructs burn. You stop a Wicker construct army from being built and marching through the zone. 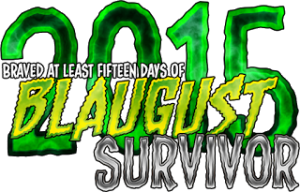 On the way there are a ton of rare creatures to kill and special treasure chests to find. I personally enjoyed the Runebound Chests because they forced you to look around you to crack the code that keeps them locked. You learn about the history of Drustvar and Kul Tiran as a whole and you get to know a lot of interesting characters. One of my favourites is the falcon master that you pick up somewhere in the middle to become an Inquisitor in the Order of Embers. I like the whole “old England” look and feel that’s tied to the entirety of Kul Tiras but Drustvar just portrays it the best with it’s woods and villages. The Drustvar zone story culminates in Corlain and Waycrest Manor. As you arrive there it seems like the coven has taken over the town and the manor and it’s up to you to clean out the mess and figure out who is behind all of this. And more important, what has happend to Lord and Lady Waycrest? This is also where the story kind of splits in two. As you make your way through Corlain it’s revealed that the Waycrest Manor went on lockdown and nobody really understands why. It also becomse clear, from diaries that you find in Corlain, that the girls of the town have been sneaking out during the nights and supposedly went to Waycrest Manor. After that the disappearings started. The other part of the story takes you to a chapel where you encounter the ghost of Lucille’s dead fiancée. As he shares with you his memories of what happened during their wedding it becomes clear who the culprit of this zone really is. The whole wedding scene was a nice nod to the “Red Wedding” in Game of Thrones, proven by the dead “Red Hand Assassin” in my above screenshot. As you help the ghost find peace you make a final push into Waycrest Manor where it is revealed what you’ve already known: Lady Waycrest is the head of the Witches’ Coven. She is responsible for all the Witches that have been making life hell for the people of Drustvar. She has killed and revived her husband to serve her as a grotesque individual for eternity and she is the one responsible for murdering Lucille’s fiancée at their wedding day. As a final act of cruelty she turns Marshall against you and you then have to kill him while her and her husband flee into the Manor. Officially this is where the zone ends. You’ve figured out who is behind the Coven and you’ve waged a war to get to there. Lucille takes over as new ruler of Drustvar and sends you back to Boralus to declare Drustvar’s allegiance once more. However she also gives you a quest to chase her parents into the Manor (which is a dungeon) to deal with them once and for all. The dungeon itself is a bit confusing but no less fun, I can see this one being quite a challenge on Mythic+. You kill her parents in the end and then Gorak Tul pops out as final bad guy, bragging about how he was able to influence the Lady Waycrest to do his bidding and be his way back into the world of the living. As you beat him he retreats in what he calls “the Blighted Lands” and issues a final threat. All in all the zone was an epic experience for me. The story buildup was amazing, especially with all the added cutscenes Blizzard seems to be doing this expansion. I’m guessing they stole that idea from FFXIV’s book. Some of the quests were downright hilarious, like the one where I had to prick peole with a Silver needle to figure out if they were Witches. Or the one where I pick onions to deter them, because obviously onions are nasty and smelly and no one wants to come near those. Now that I’ve finished the zone and won’t be back untill endgame I’m going to go out on a limb here and assume the WorldQuests in Drustvar will revolve around clearing out what remains of the Coven and helping villagers rebuild. I wouldn’t mind doing those quests at all because it will take me back to a zone I fell in love with. I really hope Blizzard can keep up this level of storytelling throughout the entire expansion, but that’s something only time will tell. Another day and another BfA themed post. I want to say I’m sorry but I’m not. I’m spending all my free time playing through the expansion and I’m getting close to some important steps. My first “almost there” is Mining. I’m currently sitting around 137 Kul Tiran skill. I’m enjoying the fact that I get quests from my trainer instead of from random drops from nodes. This means I already have a ton of things at the two star level. I probably will get to max level Mining tomorrow as I finish up Tiragarde Sound. Which brings me to the second “almost there”. I’ve been running around Tirasgarde Sound for the past two evening and bar some sidequests I only have two main quest lines left for the zone achievement. I’ve also worked my way through atleast half of the rare encounters throughout the zone and earned the exploration achievement, so there’s that. I’m kind of curious to see how things will tie together in the end. I know who the big baddie is for this zone, it wasn’t that much of a surprise, but I’m curious to see how we’ll unmask her. Also Flynn (who is clearly taken from Cpt. Jack Sparrow) is hilarious. Plus I got to drink milk from a skull mug, as you can see on this screenshot in the upper right corner. The last “almost there” is me being halfway to level 119. I’m kind of expecting to be 119 as I finish up Tiragarde Sound which means I’ll ding 120 fairly early into Stormsong Valley. Seeing as I’m not really in a rush to gear and start doing tons of dungeons I’ll probably opt to finish off Stormsong Valley before I dive into the amazing world that is endgame. On the first character I level through an expansion I try to do every available quest and I don’t think this time will be different. I love sucking in all the lore and quirky sidequests that Blizzard offers us. I also notice that I’m wandering off and exploring much more stuff than I did in Legion. It’s how I’ve been killing all the rares and finding a lot of treasure chests and hidden sidequests. Nothing punishes me for just going where I want to go while also completing all the main storylines. 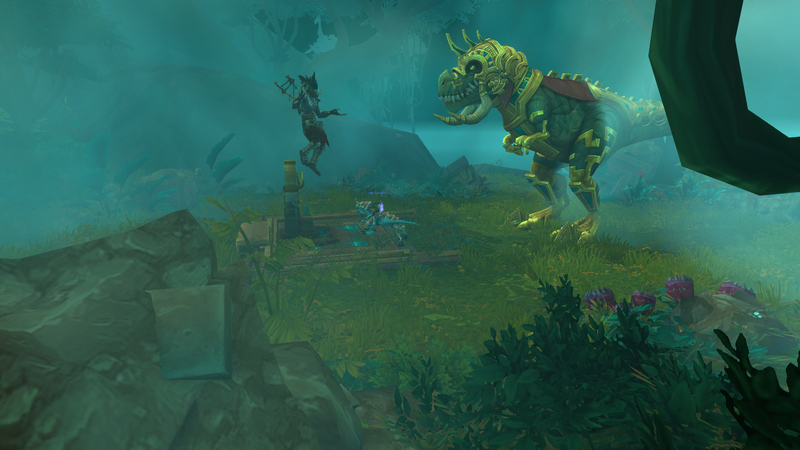 Although with unlocking my last foothold in Zandalar (the one in Nazmir) I tried to shy away from exploring and just getting my quest objectives done because man, that zone is hella creepy. Drustvar was “horror tropes witch covens” creepy but I enjoyed that. Nazmir is “cannibals in a swamp” creepy and I’m not digging the vibe at all. 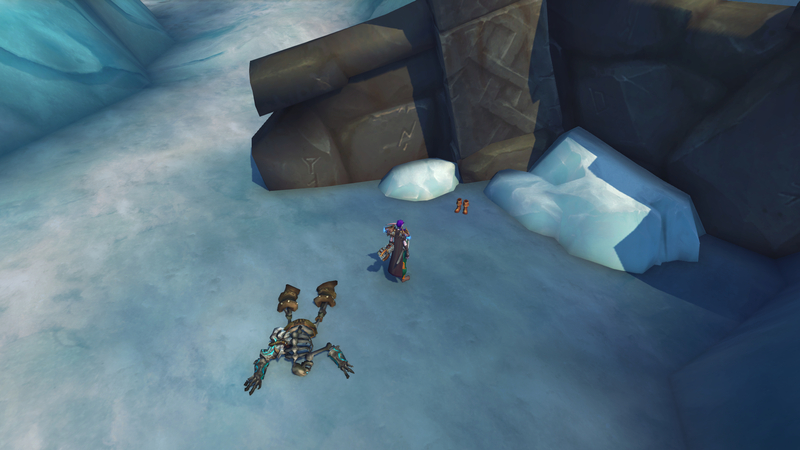 Which will be interesting when I level up a Horde character through that zone… I can already imagine the nightmares. 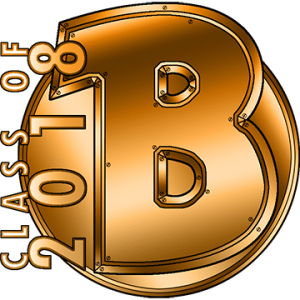 A part of me wants to go to bed and a part of me feels like I should atleast write a short blog about Bfa day two. Yesterday I’ve done all of Drustvar in one day and I wondered how long it would take me to finish up Tiragarde Sound. It seems to be an overall smaller zone with less quests and less space to cover. However I’ve already discovered tons of sidequests and finished off a few of the amazing mainquests the zone has to offer. All in all I think Drustvar still has the edge when it comes to storytelling and atmosphere but Tiragarde introduces us to many unique characters aswell. 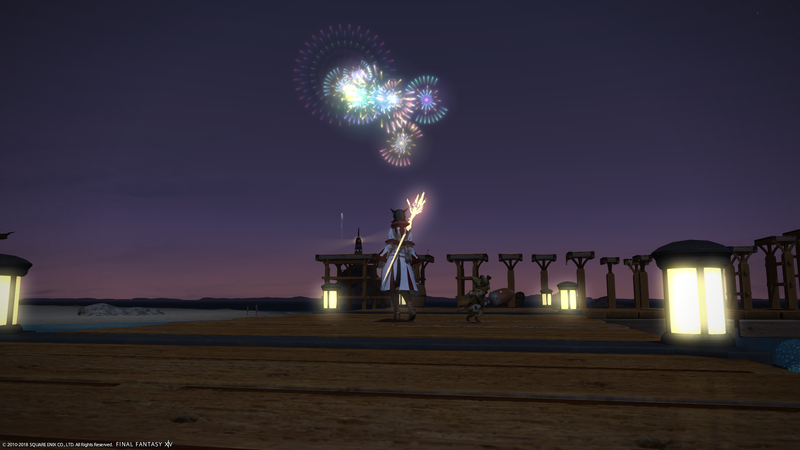 We also get a taste of the Old Gods influence and I got to perform in a jousting show on a horse. The best part though was this adorable little hunting dog that was bringing me the birds I shot out of the sky during one of many sidequests Tiragarde has. I imagine it’s sort of modeled after a Jack Russel Terrier although I’m not quite sure. He was kind of difficult to get a good screenshot off, especially because it was rather dark in game when I did these quests but the one above should give you a decent indication. The darkness thing is something that caught me a bit off guard aswell. 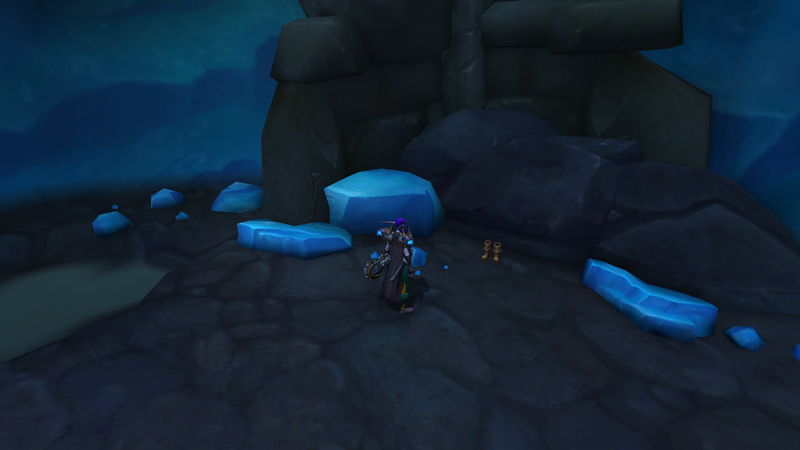 I don’t think any of the zones get as dark as the ones in Kul Tiras have been getting. 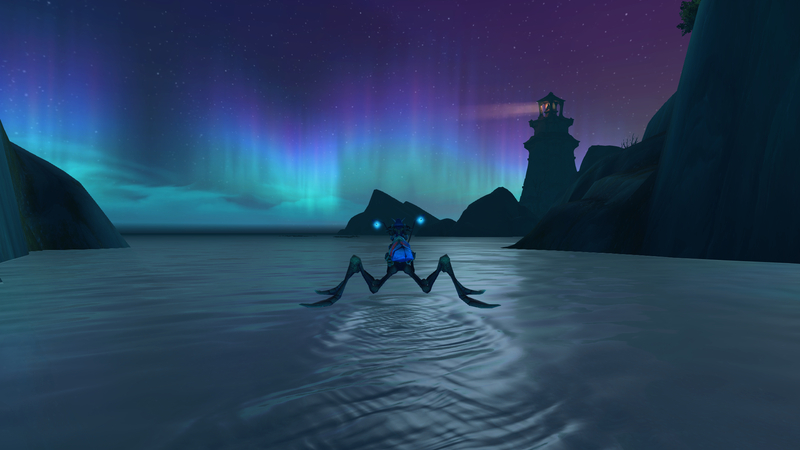 I think Blizzard may have amped up the weather or, and that’s more likely, I’m noticing it more now that we are running about in zones that are more open and feel more natural than the Legion ones. 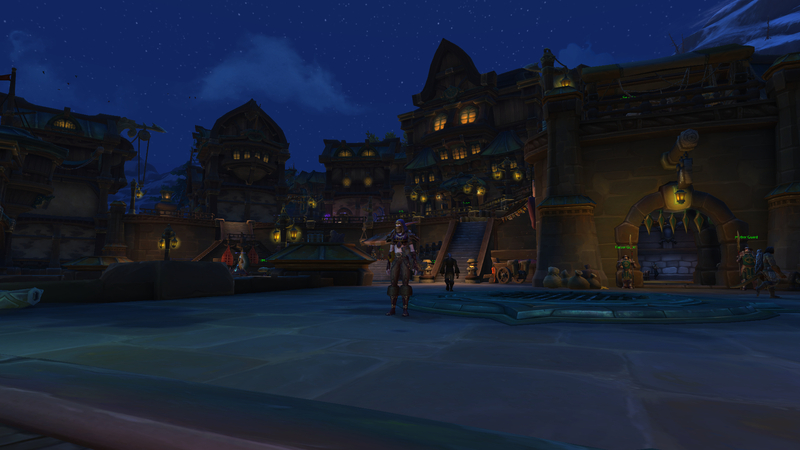 All in all I’m still having a blast and I’m starting to find my way through Boralus as city aswell. I’ve been completing a few Mining quests, I’m really happy these come from the trainer now instead of randomly dropping from nodes, and I’ve been pouring all the ore I’ve been mining into leveling up my Engineering aswell. Although I’m only on 25 skill level at the moment. 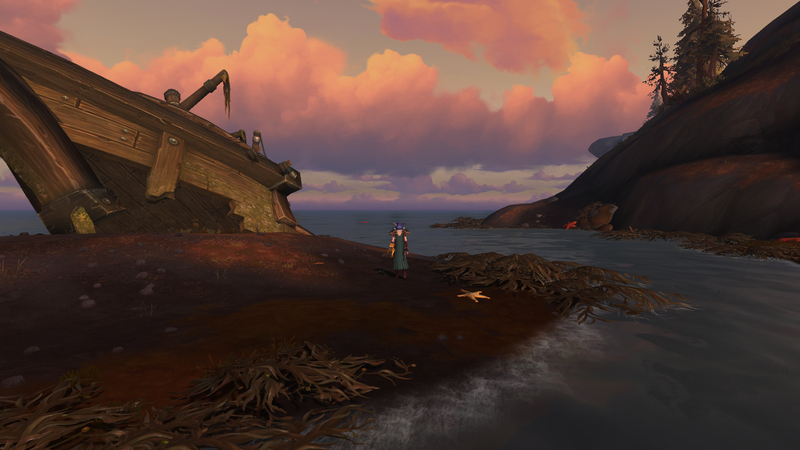 There’s so many little details that I could go on and on about but honestly it comes down to the fact that Blizzard once again made an amazing zone with beautiful landscapes and good lore. Even the War Campaign makes sense next to the questing in Kul Tiras. I’ve established two camps over at Zandalar right now and I’ve unlocked my Island expeditions. They seem like mini scenarios where you race the opposing factions to get to 500 Azerite per island first. Unfortunately I’ve not really gotten the time to figure that out yet but I will. For now I’m going to focus on finishing off Tiragarde and moving on to Stormsong Valley the next few days and hopefully ding 120 around Friday evening. Today was the day Battle for Azeroth launched. I tried getting into the server around midnight when it launched for us EU folk but I couldn’t. I gave up around 00.30 and just went to bed. I got up around 8, encountered more server issues and finally managed to get started around 9 in the morning. In theory I was planning to roll my Paladin. But with all the server issues going on I decided to play my Rogue instead seeing as that server seemed to be much more stable. I’ve not regretted my choice one bit. As starting zone I chose Drustvar. And boy was I in for a treat. I don’t want to spoil too much but the whole atmosphere of the zone was amazing and I’ve tried to discover every nook and cranny. I managed to track down and kill every rare encounter in the zone, earning me an achievement. I’ve done all the available quests and I’ve explored the entire zone. With a dungeon at the end I completed the questline as a whole and can honestly say I really enjoyed my first day of BfA play! 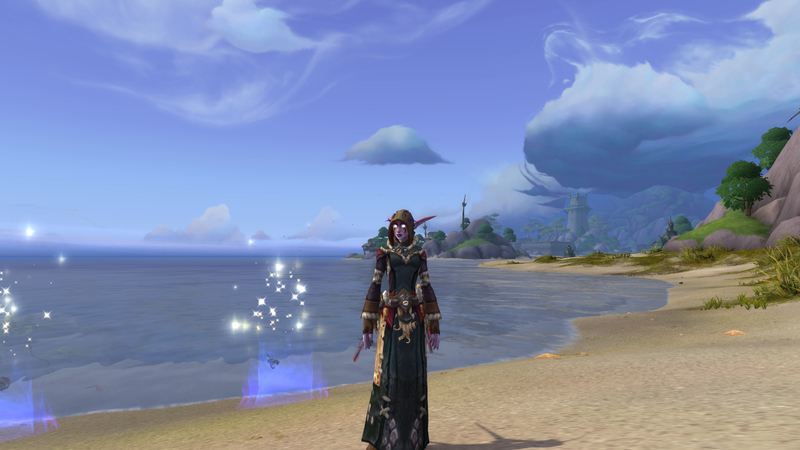 Even though we had the usual launch shenanigans I managed to play for the biggest part of the day and I log off being level 115 on my Rogue. I’m not really sure how everything works yet. I’m leveling up my Heart of Azeroth necklace and I’m picking traits in my Azerite armor. So far it looks like you want to have multiple pieces of one slot so you can itemize them according to all your specializations and I’m sure PvP itemizes differently than PvE. I’m also sure there will be guides soon about which Azerite armour piece gives the best traits and what to look for and pick. I’m currently rocking a chest or headpiece (I don’t remember which one) that gives me a haste boost when I use Adrenaline Rush on my Rogue and it’s amazing. I’m really digging playing the Outlaw specialization right now as it proves to be nice for leveling but also decent for dungeons. Blade Flurry + Killing Spree is definitely somewhat overpowered on packs right now.